Insurance is a contract between insurance company and policyholder in which the insurance company agrees to pay particular amount on the happening of certain events with a condition that policyholder pay the premium regularly. For example, If we take a car insurance policy, the insurance company agrees to pay the repairing expenses when the car gets damaged in an accident. A life insurance policy provides financial protection to the family in case of an unfortunate event like death. At a basic level, it involves paying small premiums during the term of the policy, your family will receive a lump sum amount in case of death of policyholder or at the end of policy term. In Term insurance policy the life insurance company promises to pay a specified amount (sum insured) if the insured dies during the term of the plan. If the life insured survives the entire duration of the plan then nominee will not be entitled to anything, meaning that there is no maturity benefit with such policies. Click to get Term insurance Related Policies. An Endowment Insurance plan is a combination of term insurance and savings plan. It offers death cover if the life insured dies during the term of the policy or survival benefit if the life insured survives until the maturity of the policy. Click to get Endowment Related Policies. Money Back Plans provides life coverage during the term of the policy and the maturity benefits are paid in installments by way of survival benefits in fixed interval of time. In the event of death within the policy term, full sum assured without deducting any of the survival benefit amounts will be paid as death benefits. Click to get Money Back Related Policies. Whole Life insurance plan is a type of life insurance which provides death cover if the life insured dies during the term of the policy or after the term of the policy. Click to get Whole life Related Policies. Pension Plans are retirement Plans for Financial stabilization of your old age. Pension Plans are suitable for senior citizens and those who are planning for a secure future. Click to get Pension Related Plans. 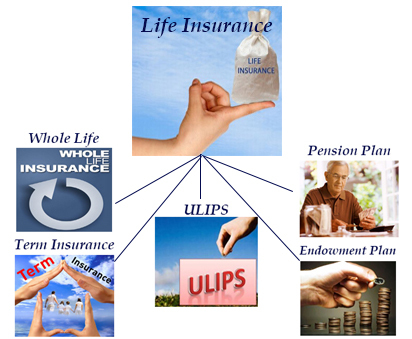 Ulips is an unit linked insurance policy. In ULIPs, a part of the investment goes towards providing you life cover. The remaining portion of the ULIP is invested in market stocks or bonds. Click to get Ulips Related Policies. 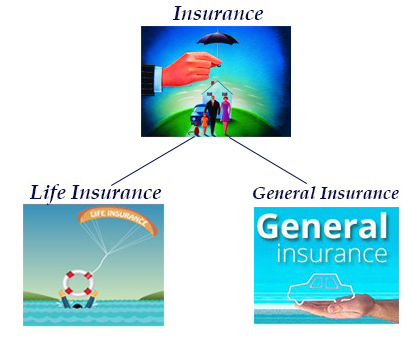 What is General Insurance ? A General insurance policy provides financial protection to your property in case of an unfortunate event like fire accident or any natural disasters. 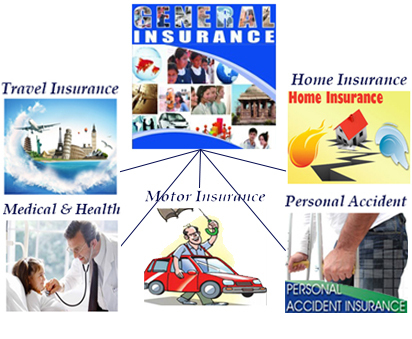 General insurance policies are short term policies maximum of one or two years only. Initially you need to pay premium, then you can receive financial help from the insurance company in case of any unfortunate event. Motor insurance is an insurance policy for cars, trucks, two wheelers and other road vehicles. Its primary objective is to provide protection against physical damage resulting from traffic collisions, accidents and against legal problems. Motor insurance in India covers for the loss or damage caused to the automobile or its parts due to natural and man-made calamities. Click to get Motor insurance Related Policies. Fire/ House owners/ Householders insurance plan provides protection for property, domestic appliances, electronic appliances and members in the house under a single policy. Click to get House insurance Related Policies. Health insurance is a type of insurance that covers the medical and surgical expenses of an insured individual. Click to get Health insurance Related Policies. Travel Insurance is a type of insurance that covers medical expenses, trip cancellation, loss of baggage, flight accident and other losses incurred while traveling, either internationally or within one’s own country. Click to get Travel insurance Related Policies. Personal accident insurance is an annual policy which provides compensation in the event of injuries, disability or death caused by violent, accidental, external and visible events. Click to get Person accident insurance Related Policies.